2. 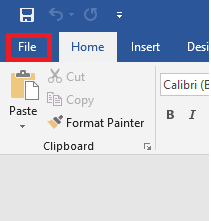 Select the File tab. 3. Select Info from the left-hand menu. 4. Click the Check for Issues button. 5. 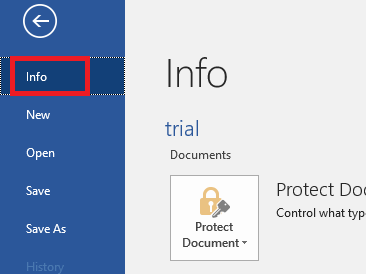 Select Check Accessibility from the drop-down menu. 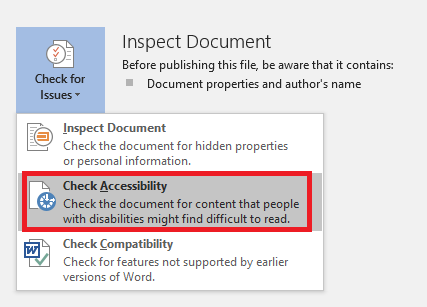 6. Review the list of potential errors in the Accessibility Checker pane. 7. 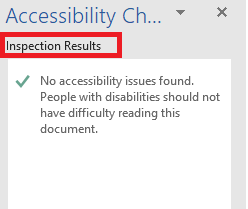 Resolve any outstanding accessibility issues listed in the results.